It has been a very long time coming, and there has been an endless amount of anticipation for one of the biggest games of the year - Half-Life 2 finally arrived on Tuesday 16th November. Many users had spent endless hours downloading the seven preload files so that they would be ready to play as soon as Valve flicked the electronic switch to signal the beginning of a new era in gaming. While Half-Life 2 has been heavily backed by ATI in the form of financial support, there have been many rumours going around to suggest that ATI would have a massive upper hand in this title, and essentially casting a massive shadow over NVIDIA's outstanding GeForce 6 series video cards. This article is designed to cover the quality of game play experience using two sections of the title on the two vendor's AGP video cards. There have been many Half-Life 2 performance articles out there, and so far, all of them have used time demo's. 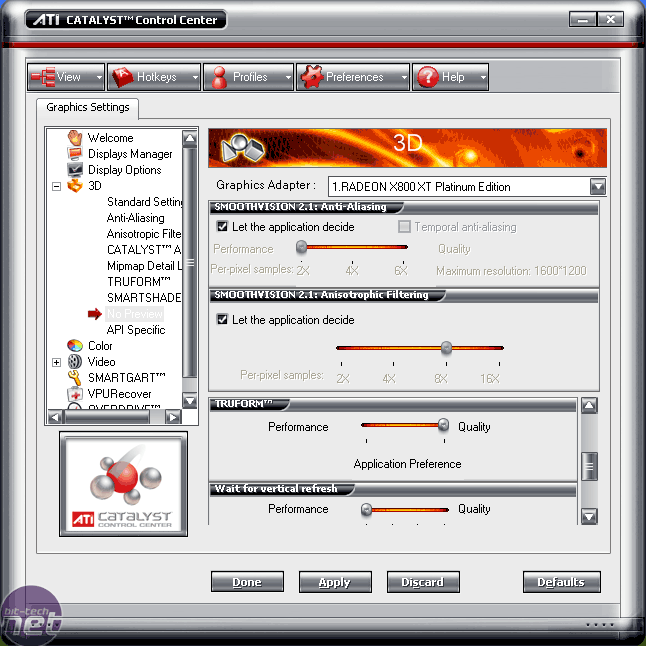 Many sites reproduced ATI's numbers using their supplied time demo's, which will naturally favour ATI's strong points along with the possibilities of not resembling anything like real Half-Life 2 game play. Things aren't helped by the way that the video card market is heading at the moment, with ever-increasing use of very aggressive marketing tactics, so it would only be right to use custom sections of levels which we had complete control over, in order to provide you, the readers, with information that can be used "as-is" and will ultimately reflect real-world game play. Most of the title is very CPU limited, but there are several telling sections, which do prove to put a high stress on to the GPU - these ultimately make or break a graphics card. For our game play evaluation, we have made use of parts from the 'Water Hazard' and 'Follow Freeman' chapters. The first manual run through contains some small-scale fire fighting in doors and a section where we are riding on the airboat trying to escape from the Combine forces defences. The second manual run through we have done is from a heavy fighting scene that has a large number of fire fights and explosions, while we are trying to destroy several striders in order to gain access to the entrance of the Citadel. We have used the in-game Anti-Aliasing and Anisotropic Filtering controls in Half-Life 2, and thus our driver's AA and AF configuration have been set to "Application Controlled" - you can view our driver settings at the bottom of this page. There is an element of human error in all of our results, as everything is run manually. The important thing is that we're playing through exactly the same part of each title at the same pace, so the same workload is being placed on the system during this period. Where we lose accuracy from manually running our tests, we gain accuracy from using real-world gaming scenarios. This ultimately places load on both the CPU and GPU, as you would expect to happen in a real-world gaming experience rather than focusing on out and out 3D rendering performance that is derived from running a time demo or synthetic benchmark. 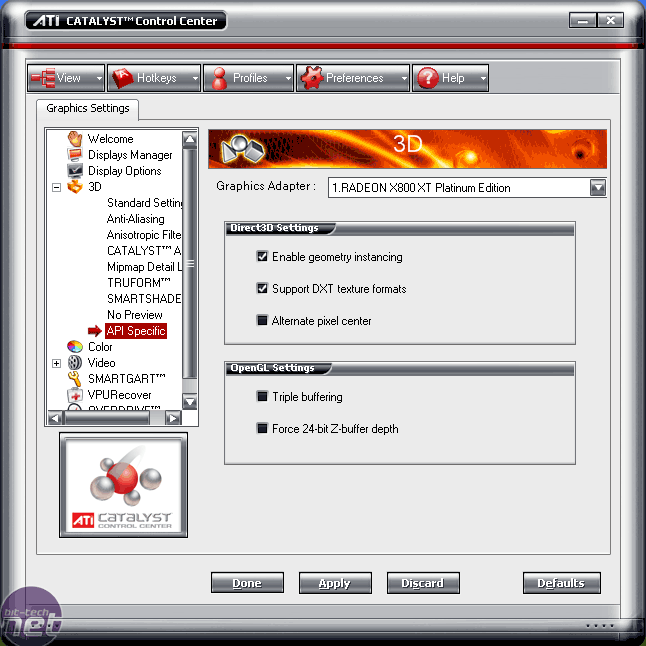 ATI Radeon X800 XT Platinum Edition - operating at default clock speeds of 520/1120MHz using Catalyst 4.12 beta. NVIDIA GeForce 6800Ultra - operating at reference clock speeds of 400/1100MHz using ForceWare 67.02 beta. 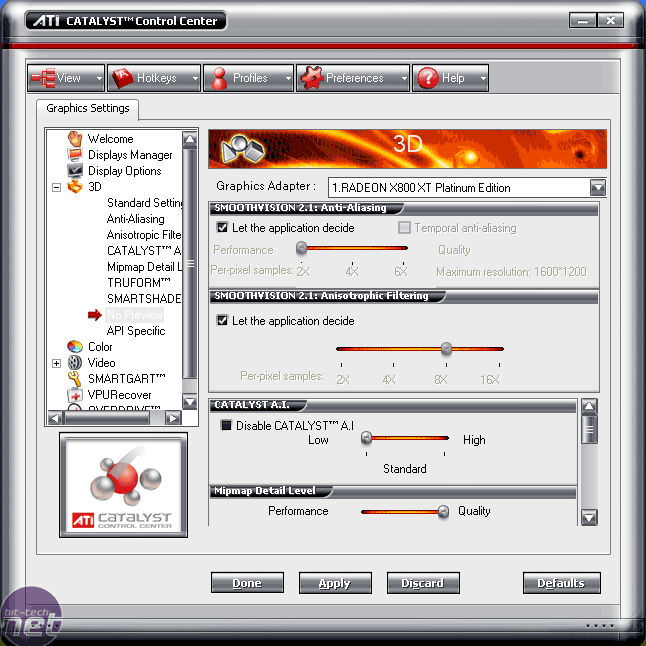 ATI Radeon X800 Pro - operating at default clock speeds of 475/900MHz using Catalyst 4.12 beta. NVIDIA GeForce 6800GT - operating at reference clock speeds of 350/1000MHz using ForceWare 67.02 beta. 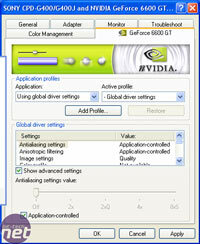 ATI Radeon 9800 Pro - operating at default clock speeds of 380/680MHz using Catalyst 4.12 beta. NVIDIA GeForce 6600GT - operating at reference clock speeds of 500/900MHz using ForceWare 67.02 beta. For our mainstream configuration, we have reduced the speed of our CPU slightly, and also slightly lowered the memory timings in order to represent a typical system that is likely to be matched up with these video cards. Our CPU represents something in the region of 3200+ to 3400+ using AMD's performance rating, while the memory is held back slightly to represent memory modules that will not cost quite as much as Corsair's ultra fast XL series modules. After a decade in development, is GenDesign's hotly anticipated game worth the wait?